Stephen Nurse Jr married Sally Houghton in Oct 22, 1820 at Bolton, Worcester Co., MA, USA. Sally Houghton married Stephen Nurse Jr in Oct 22, 1820 at Bolton, Worcester Co., MA, USA. Sherman Willard Houghton married Sarah E. Nelson in Aug 16, 1832 at Bolton, Worcester Co., MA, USA. Sarah E. Nelson married Sherman Willard Houghton, son of Thomas Houghton and Asenath Whitney, in Aug 16, 1832 at Bolton, Worcester Co., MA, USA. Richard Townsend Jr. married Susannah Houghton, daughter of Capt. Jonathan Houghton and Susannah Moor, in Oct 2, 1780 at Bolton, Worcester Co., MA, USA. Barnabas Sawyer married Unity Houghton, daughter of Capt. Jonathan Houghton and Susannah Moor, in Dec 14, 1778 at Bolton, Worcester Co., MA, USA, MLM: Dec. 14, 1795. Mrs. Mary Barrett married William Houghton, son of Joseph Houghton and Lois Ross, in Dec 9, 1848 at Bolton, Worcester Co., MA, USA, widr., a. 72. Silence Moor and William Houghton declared their intentions of marriage on Feb 9, 1800 Bolton, Worcester Co., MA, USA. Rev. Nathaniel Gage married Abba Richarson Gardner, daughter of Stephen P. Gardner and Achsah Moor, in Aug 1, 1827 at Lancaster, Worcester Co., MA, USA. Samuel Moore married Zeresh Houghton, daughter of Lieut. Jonathan Houghton and Thankful White, in Aug 19, 1747 at Bolton, Worcester Co., MA, USA. Death before 1801 Father's estate states deceased in 1801. Abigail Houghton married Lemuel Butler in Dec 6, 1773 at Bolton, Worcester Co., MA, USA. 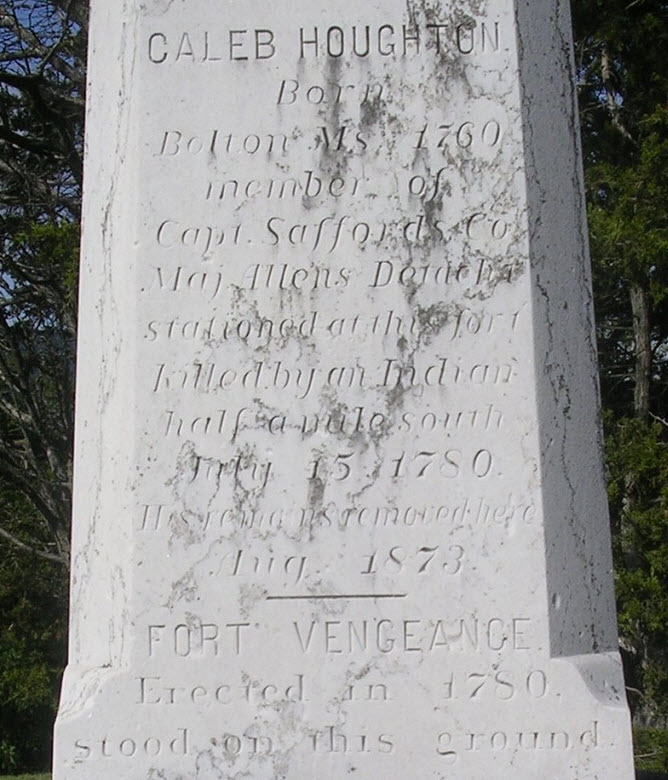 Death Jul 15, 1780 Ft. Vengeance, Pittsford, Rutland Co., VT, USA, monument erected on Chester Thomas's farm in 1873 to mark spot where in 1780 Caleb Houghton a soldier of Revolution was killed by Indians. Abigail Houghton married Dea. Silas Fyfe in Aug 15, 1772 dau. of Benjamin and Mary Houghton. Mary T. Danforth married Cephas Houghton, son of Capt. Benjamin Houghton Jr and Hannah Newhall, in Nov 3, 1835 at Bolton, Worcester Co., MA, USA, both of Warner NH. 1860 Census 1860 Stoneham, Middlesex Co., MA, USA, Henry, 19, shoe packer; Albert, 16, laborer; with Allen and Sarah Rowe, shoe manuf. Lemuel Butler married Abigail Houghton, daughter of John Houghton and Hepzibah Priest, in Dec 6, 1773 at Bolton, Worcester Co., MA, USA. John Priest married Anna Houghton, daughter of John Houghton and Hepzibah Priest, in Jun 14, 1775 at Bolton, Worcester Co., MA, USA. John Priest married Anna Houghton, daughter of John Houghton and Hepzibah Priest, in Nov 29, 1787 at Bolton, Worcester Co., MA, USA. Asenath Whitney Houghton married John A. Whitney in Oct 26, 1834 at Bolton, Worcester Co., MA, USA. John A. Whitney married Asenath Whitney Houghton, daughter of Thomas Houghton and Asenath Whitney, in Oct 26, 1834 at Bolton, Worcester Co., MA, USA. 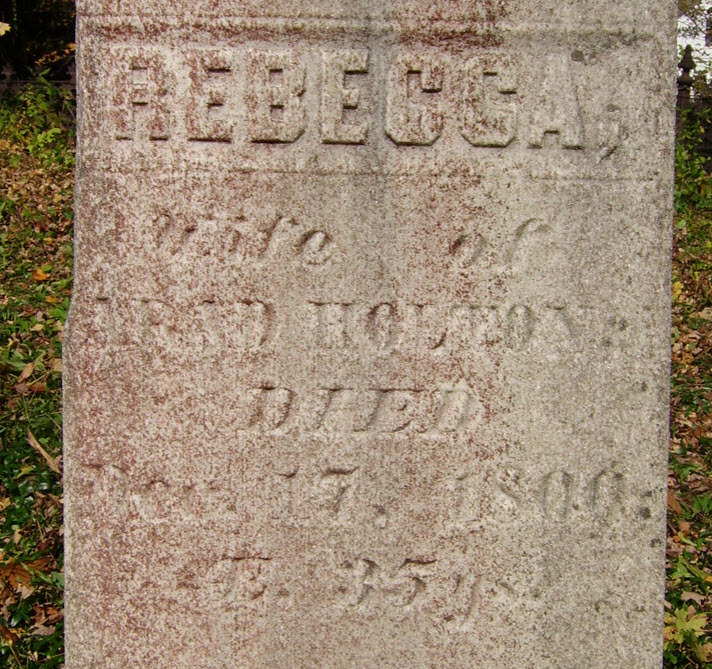 Rebecca Houghton married Arad Holton, son of Thomas Holton, in May 13, 1787 at Dummerston, VT, USA, VT Gazetteer Index: v. pt. 2, 69, 86, 150, 429. Sgt. Oliver Jewet married Betty Houghton, daughter of Benjamin Houghton and Mary Ball, in Jan 23, 1772 at Bolton, Worcester Co., MA, USA. Amory Holman Houghton married Helen Fish in circa 1880 mar 20 years in 1900 census. Asa Houghton and Lydia Presen Houghton declared their intentions of marriage on Sep 5, 1782 Putney, Windham Co., VT, USA. Asa Houghton married Lydia Presen Houghton, daughter of Jotham Houghton and Eunice Wilder, in Oct 23, 1782 at Petersham, Worcester Co., MA, USA.